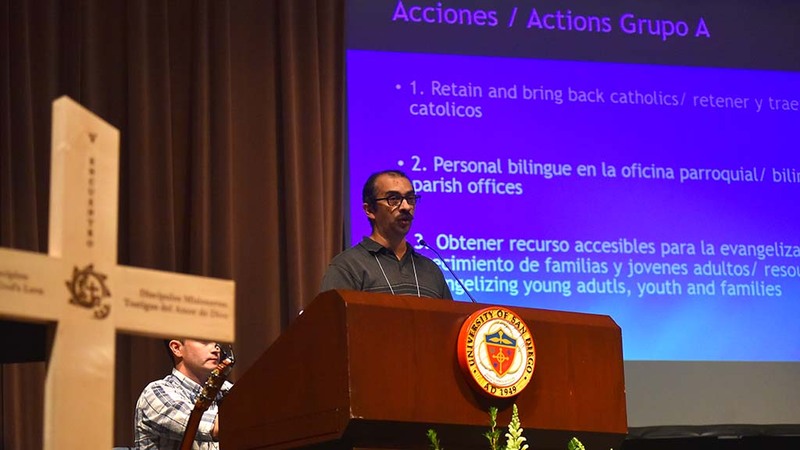 Meeting at the University of San Diego, older Hispanics lamented their children’s lack of involvement in the Catholic Church. But among themselves, young adults voiced frustration over the lack of support and guidance from their elders. 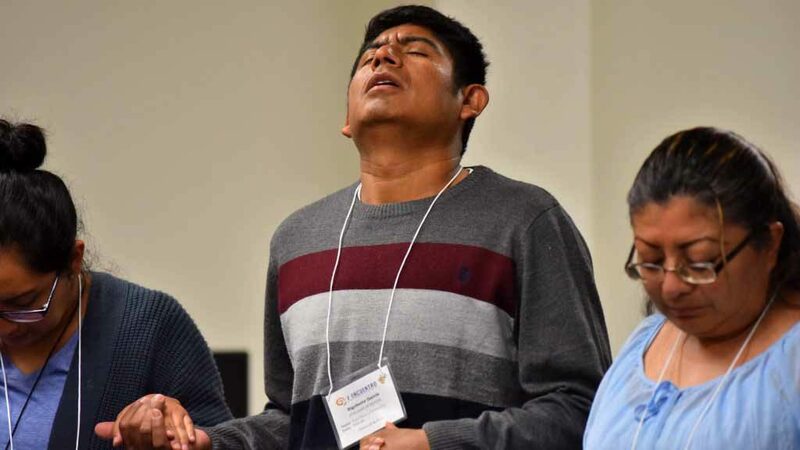 That was just one remark at a daylong diocesan conference led by San Diego Bishop Robert McElroy, involving 275 Hispanic Catholics — mostly parish leaders from churches around the region. They met in classrooms and Shiley Theatre at the Catholic campus in Linda Vista. 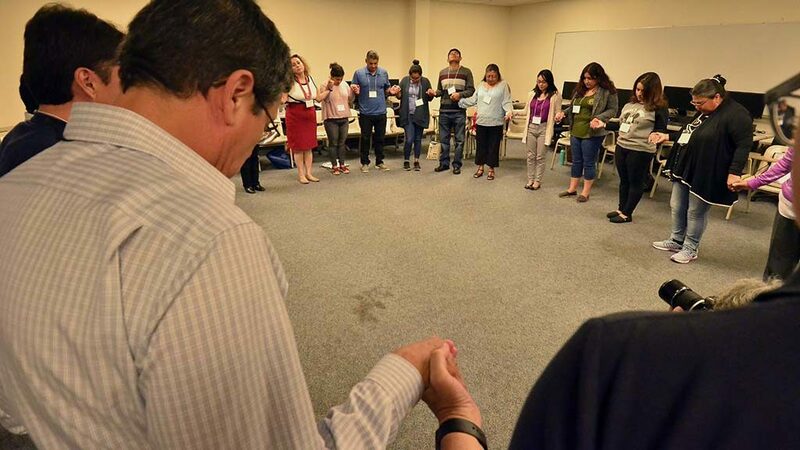 Of the 1.3 million Catholics in the San Diego Diocese, about 60 percent are Hispanic. Locally, the diocese seeks to identify better ways to serve Hispanic parishioners, prepare Latinos for leadership and engage third- and fourth-generation Hispanic youth. Much of Saturday’s focus was on the needs of young adults. Jimenez, a youth minister at St. Francis of Assisi Church in Vista, discussed her disappointment at the lack of support from some parents. Roni Lobato, also a youth minister at St. Francis of Assisi Church, said teens need to be brought in. “Most of my friends don’t go to church because they feel that maybe it’s not relevant or it’s something that they got pushed away or just felt like it’s not necessary for them in their lives,” he said. Lobato was most passionate for the proposal to involve families in religious education, not just the youth. 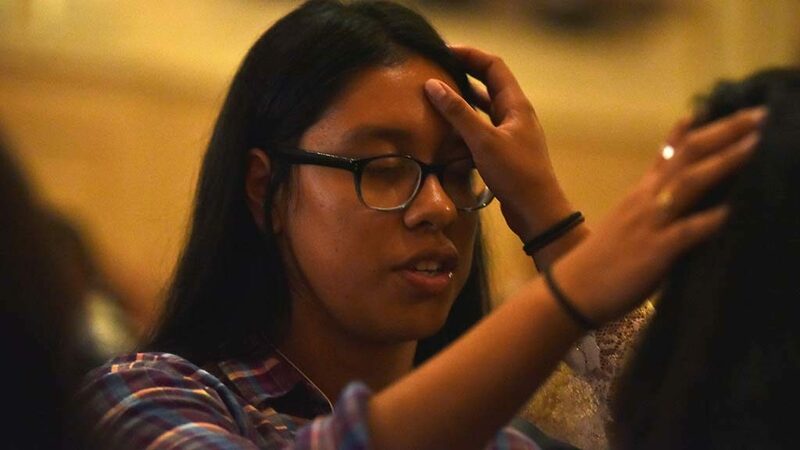 Arianna Melendez, 15, of St. Michael’s Church in Paradise Hills, said most young people know that they can be involved in church but lack motivation. Abelardo Garcia, 17, said the church needs more simple social interactions — not just activities. Garcia spoke of a need to let young people take part more at Mass — reading the Scriptures, for example. “Most churches are too rigid in that perspective: ‘No, the adults have to read. The kids aren’t experienced enough,’” Garcia said. Young people also voiced a need for more financial resources for activities and local retreats. 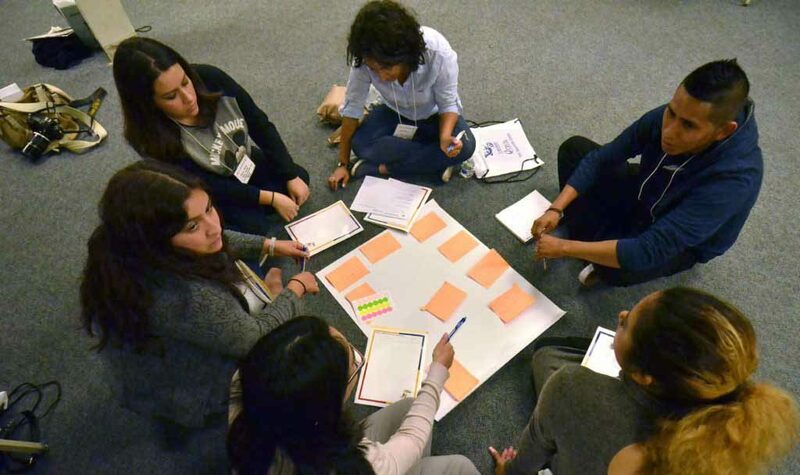 Among the ideas was a need for new leadership classes, increased communication between parishioners and priests, social justice outreach opportunities, faith foundation for young adults and diocese-wide meetings for people serving in ministries. 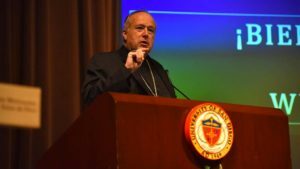 Regarding the teaching of faith in the context of a family, McElroy said what the church needs to deal with are the multiple generations including families who have been here for centuries, up to those who recently immigrated. 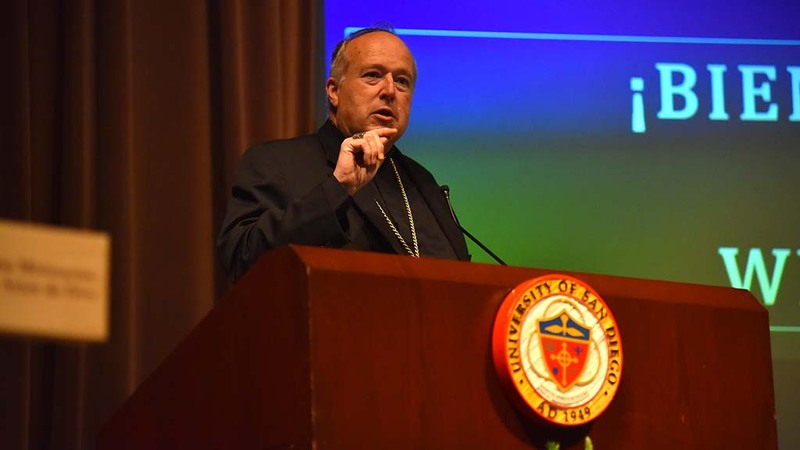 “Those who are going through the immigrant moment themselves or even those who are the children of immigrants who have now grown to adulthood are greatly still embedded in the culture of Mexico because of the bulk of our immigrants had its roots in Mexico,” the bishop said. “But there are those who are third generation, fourth generation, those who were born here, grew up here. The role of the culture in their lives is very, very different, and they move in a larger Americanized culture and it’s also a secularized culture. 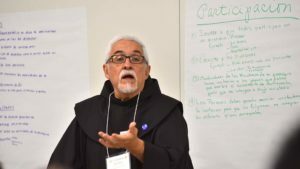 McElroy said the challenge for this Encuentro is: How do we speak to these different generations amid different cultural contexts? McElroy said the diocese needs to address the needs of the military as well — because of the large percentage of Hispanic service members here. 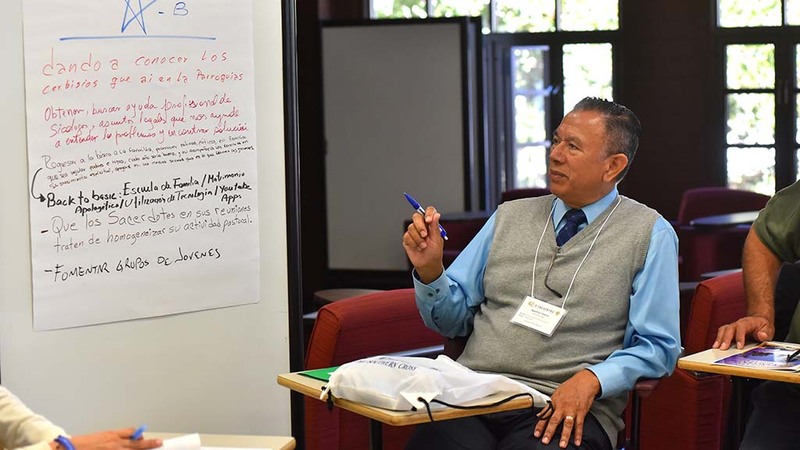 About the Hispanic members’ priorities, he said, “What they are saying is there are some particular ways that we are asking you to move, so we have to take that as a significant foundation for our planning and reflection. At the end of the Entcuentro, participants voted on their top priorities to be taken to the spring regional Encuentro in Visalia and then the national one next fall in Texas. 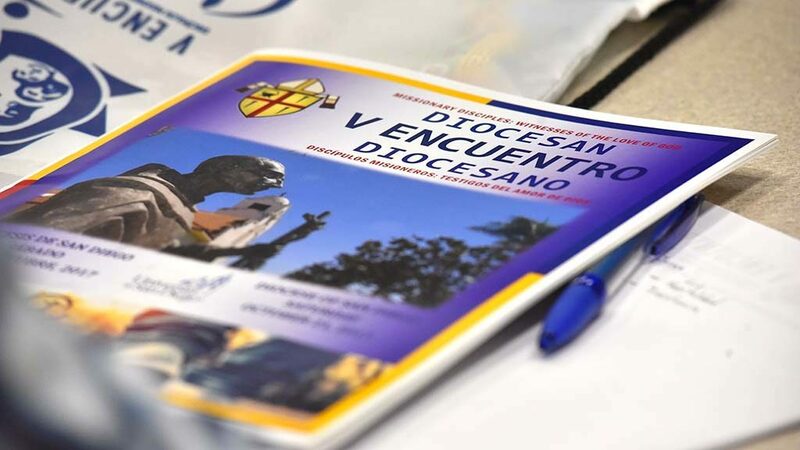 Over the past three years, bishops have planned the process, training people to have parish discussions and bringing their list of priorities to their diocese. Saturday’s participants whittled down their list of priorities to three in each of the assigned groups and then as a whole group voted on the most pressing initiatives. Despite obstacles, Jimenez is optimistic about youth participation. Yes, she said, some young people are distracted by social media, parties, alcohol and drugs that monopolize their lives.